from time to time the LTHG crew is also doing a party on wednesday. this is just a small post to remind you that tomorrow is the date. 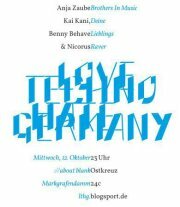 October 11, 2011 in berlin, upcoming events.